Introduced to Britain in the 14th Century, this has spread and gained naturalised status. With its stock like flowers of pale lilac in summer, this is a plant to enjoy especially in the evening when the gorgeous fragrance is most pronounced, and the flowers seem to glow in the half-light. 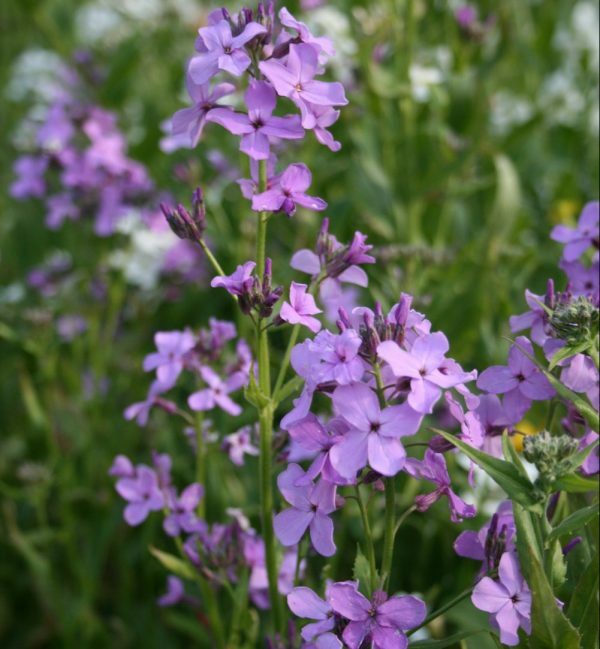 Sweet Rocket, its other name, will self sow and naturalise happily in poorer soils.